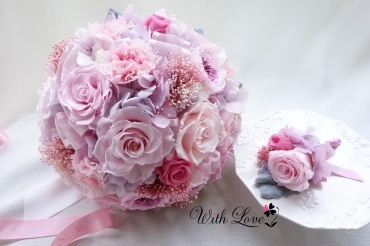 With Love provides support for future brides, family and friends who would like to make a wedding bouquet. 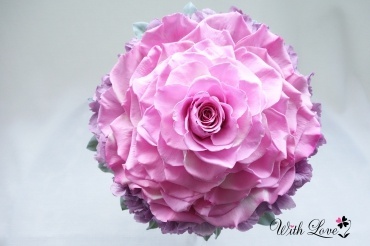 The groom will receive a boutonniere matching the bouquet. 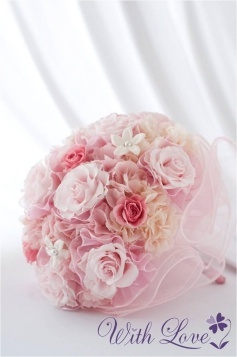 Bouquets made from preserved or artificial flowers do not require watering or trimming. 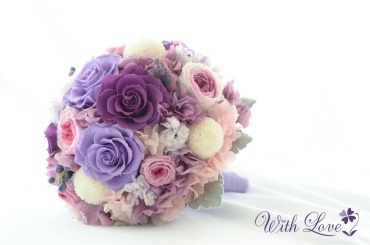 They can be enjoyed long after your wedding with the memories. 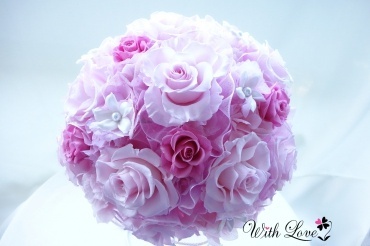 With Love will provide step by step guidance, so no previous experience with Preserved Flower Arranging is necessary. 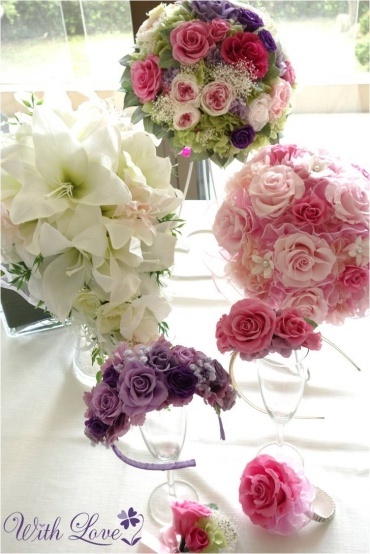 Depending on the design and difficulty, completing your bouquet may take one day, or several sessions. 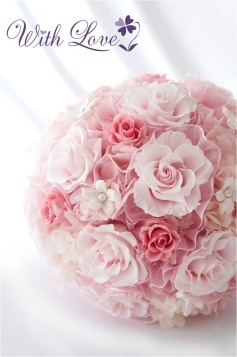 Please discuss your budget, preferred arrangement and flower type, and color choices with us. 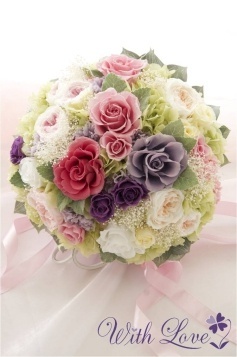 If available, please also send us a picture of your preferred style. 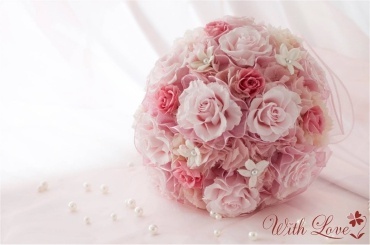 Kindly sign up at least 1 month in advance, as we import all flower materials from Japan. 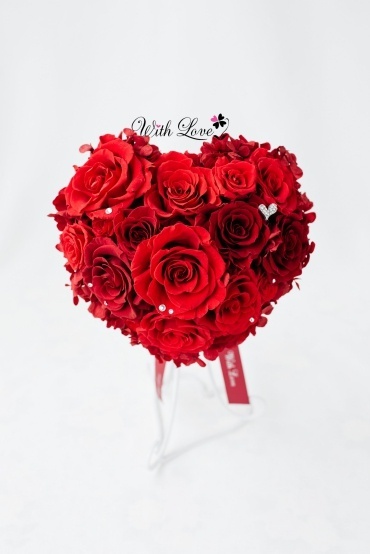 ** The prices are for July 2017, and are subject to change based on the design and material types and costs. 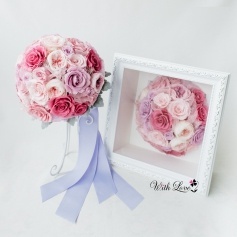 After the wedding, we can remake your bouquet into a Glass Frame Arrangement. 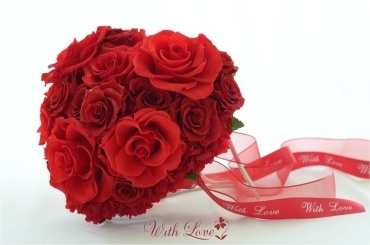 If the flowers have been damaged, replacement flowers can be purchased. 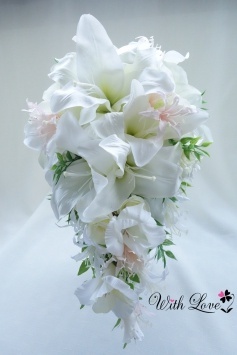 Based on preference, it is possible to remake the bouquet into other arrangements as well.